Regain the fitness that has ebbed away! You&apos;ve done it before. You became the fit, healthy and energetic person you wanted to be. Do you want to be that person again? 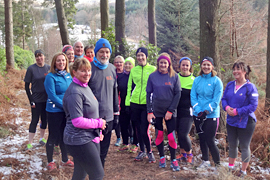 You don&apos;t have to have done the Get Fit Falkland Couch to 5K programme. But you do need to have been running regularly at some point within the last couple of years. Our plan starts with you coming along to the Couch to 5k group&apos;s week 5 workout - five minute jogs and 3 minute recovery (walking) breaks. 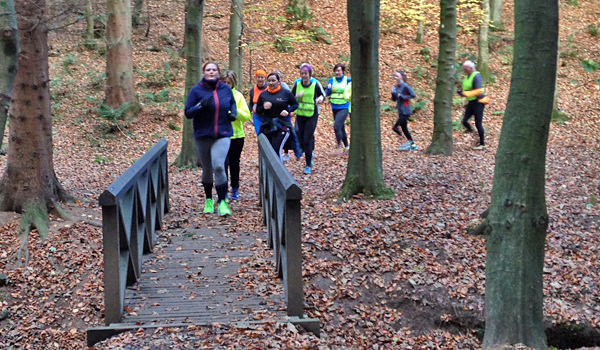 From their week 6, the C25K group start longer non-stop workouts, following a set loop. This means they can go at their own pace, yet the leaders can keep their eye on them. You do the same, but follow the Reboot workout, going at YOUR own pace. And, like the beginners, you can get the support of the leaders as you go along. You can build up to the full 30 minute or 5k workout to do a reprise of your own "graduation" week at a local parkrun. If you&apos;re not quite ready, it&apos;s not the end of the world. You can continue your progression for as long as you like. You just do the workouts on your own, at your own pace and progressing at a rate you feel comfortable. You can delay until the next week, the following week ... or the week after that. You do it when you feel ready. And we&apos;ll be at the end of an email to give you any help, advice or encouragement that you need. We&apos;re ready to help you get back to fitness! Our next block will start on Monday 6 May 2019 and run for five weeks until the "Graduation" run on Saturday 1 June 2019. Week Ten - the Bonus Week - is scheduled for Sunday 9 June 2019. Obviously, at that price, that doesn&apos;t include a new GFF T-shirt! But you can get one at a subsidised price - and you&apos;ll still get your cup of tea or coffee and the ubiquitous banana! We have a minimum age of 18 years old. There are several reasons for this, but the main one is that if we work with children, we may be liable for PVG checking, and our Leaders are not currently subject to this. In addition, we have to be careful when considering adolescents, whose bodies are not fully matured and for whom this programme may be inappropriate. We may be able to allow children between 16 and 18 to do our workouts alongside the main group as long as they are accompanied by an adult who has registered for and is participating in the programme. If you would be interested in more information, just let us know. Although most members would be happy to let your well-behaved pets run alongside the group on a short leash, it can be a problem for some. Because we want to remove as many barriers to participation as possible, we can’t allow pets to join us on runs. Guide Dogs & Assistance Dogs. Where a participant needs a guide dog or assistance dog to assist them on a session, it will, of course, be made very welcome. However, there are a few formalities that we have to go through together. Before your first session, therefore, please let us know that you will be accompanied by your assistance dog. If you are a participant who is likely to be affected by the presence of an assistance dog (e.g. if you are a sensitive to dog allergens), please discuss with us what steps we can take to reduce this risk.